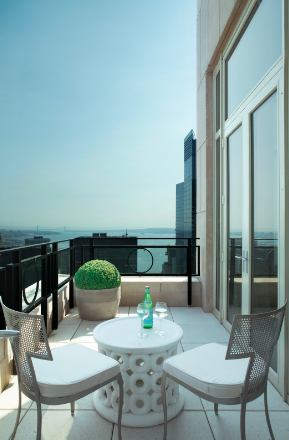 Our favorite listing this week is 30 Park Place #PH77B. 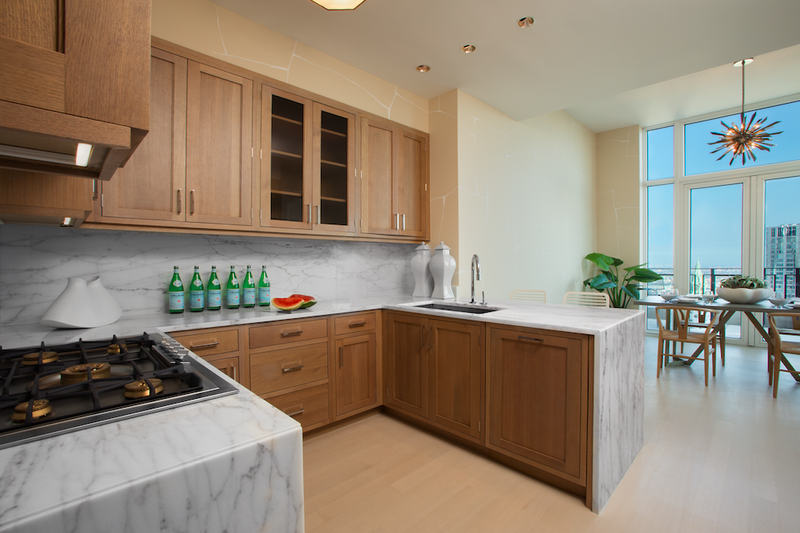 a 3 Bedroom, 4.5 bathroom, Tribeca Penthouse, with 3,173 square feet interior space and two terraces that flank the home on both sides, providing sweeping views of Manhattan, Brooklyn, and the New York Harbor. asking for $16,450,000. Now more than 90 percent sold, Downtown Manhattan's tallest condominium tower 30 Park Place Four Seasons Private Residences has just unveiled the last half floor Penthouse and striking 3-bed / 4-bath residence designed by Santopietro Interior. A warm and inviting oasis, Santopietro chose neutral tones such as grey and beige to perfectly complement the subtle pops of colors found throughout the residence. With a master bedroom suite with dual marble master bathrooms and Kallista fittings, the home also features white oak Bilotta custom-designed kitchen cabinetry with Gaggenau appliances and polished marble countertops, while solid white oak floors in natural matte finish with herringbone pattern line the formal rooms. Floor-to-ceiling windows are present throughout allowing for an abundance of natural light and a St. Tropez limestone fireplace provides a cozy feel in the expansive living room that is accessible through a gracious entry foyer. Residential amenities include including a spa and salon facilities, 75' swimming pool, attended parking garage, restaurant, bar and lounge, ballroom facilities, and meeting rooms, as well as a comprehensive suite of a la carte services. 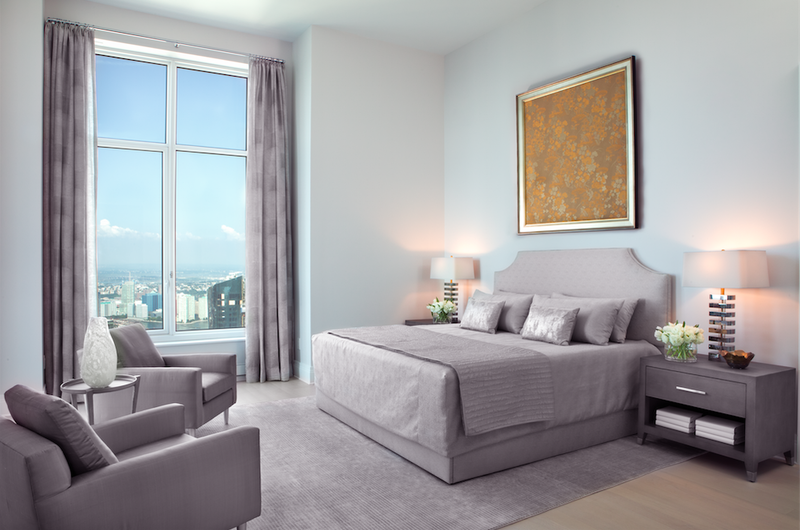 The 38th floor is devoted to private residential amenities including a fitness center and yoga studio, private dining room, conservatory and lounge with access to loggias, Roto-designed kid's playroom, and screening room. Michelle Griffith and Kane Manera are the listing agents at Corcoran. For more information click here.